Travel with us to the grand Canyon with 4960! We capture this former CB&Q 2-8-0 in the early morning bringing the train to the Williams, AZ depot and on its journey to the Grand Canyon. 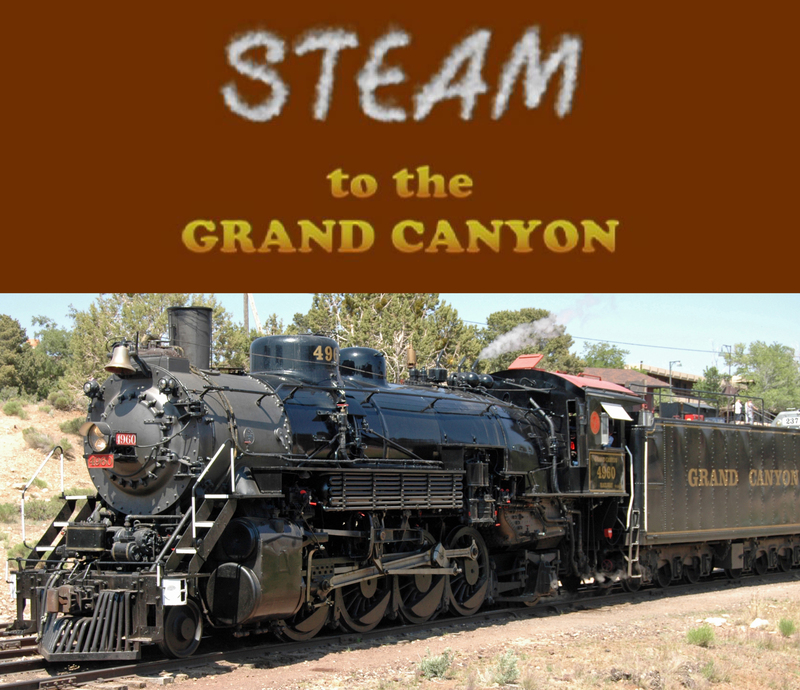 At Grand Canyon Village we watch as the locomotive is serviced in an “out of the way” location and returned to the train. On the way back to Williams we catch the train departing the Canyon and again at Red Lake, plus evening switching at the Williams yard. The running time is approximately 24 minutes. Also included on this DVD - over 28 minutes of Previews!